Disqus is a very nice tool to handle comments better and probably I will add it here soon, but I’ve notice a big issue with the import of the old comments already inserted on posts. I’ve had trouble with a blog with 5 thousands comments on old posts. In my case the import happens to fail always after some minutes, propbably it depends on session time or connection problems… When it stops you can restart the export everytime you want (it will not create duplicates). The export will restart the process from the first post. So it will start where it has stopped. It’s a kind of “resume” process. 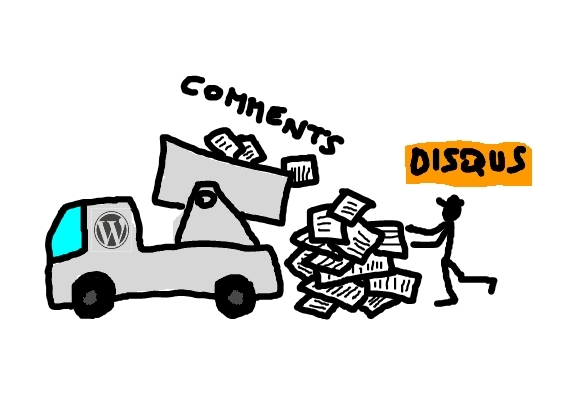 This was the only way I’ve found to export 5.000 comments from wordpress to disqus. I’ve also noticed that the old count of number of comments at the beginning of the post was wrong, and I’ve found that it is due to conflicts with my template.